For businesses with lots of product SKUs, helping customers find the right product is a sure-fire way of increasing sales and conversion rates; Zingtree is a perfect solution. Guided product selection is a new kind of strategy that allows customers to help themselves, self-solve, and locate exactly what they need as quickly as possible. From picking out the perfect pair of sunglasses to the right kind of bike, to figuring out the ideal package of services, these “product finders” can help customers locate the right product in the easiest way possible. Key metrics and figures in the eCommerce world only work to confirm what we know: simple, guided product finders are the wave of the future where customer journey and improving conversion rates are concerned. Let’s take a quick look. Stat #1: On average, people spend about 51% of their time on their mobile phones. It’s incredibly convenient for buyers to browse your store on mobile in short, quick, sessions during the spare pockets of time they have throughout the day. Online stores should always be optimized for quick shopping experiences that help customers find what they need within the fastest possible route. If they can’t find what they need, they’ll move on. Stat #2: 94% of companies see “higher engagement and conversion rates” as benefits of a commitment to customer experience. Customer experience is all about personalization. When you take the time and effort to customize an experience to specific people, they are far more likely to enjoy it and walk away feeling positive. Without any personalization, consumers can quickly jump to the assumption that those products or brand are not for them. Stat #3: 74% of online shoppers rate product selection as important during the online search process. That’s right — about 3/4 of all online consumers consider product selection as one of the most important parts of the search and purchase process. When you think about it, it really makes sense; making it as simple as possible to locate the right product is critical to customer satisfaction and loyalty. Product finder decision trees are the perfect way to set up customers for success in a personalized, self-solving, mobile-friendly environment. Instead of the traditional eCommerce site boasting pages and pages of products, product finders allow customers to take the lead using well-thought out, pre-programmed guidance. Nationally-recognized baseball bat manufacturer, Phoenix Bats, is a perfect example of how product finders have a direct impact on happy customers and better conversion rates. 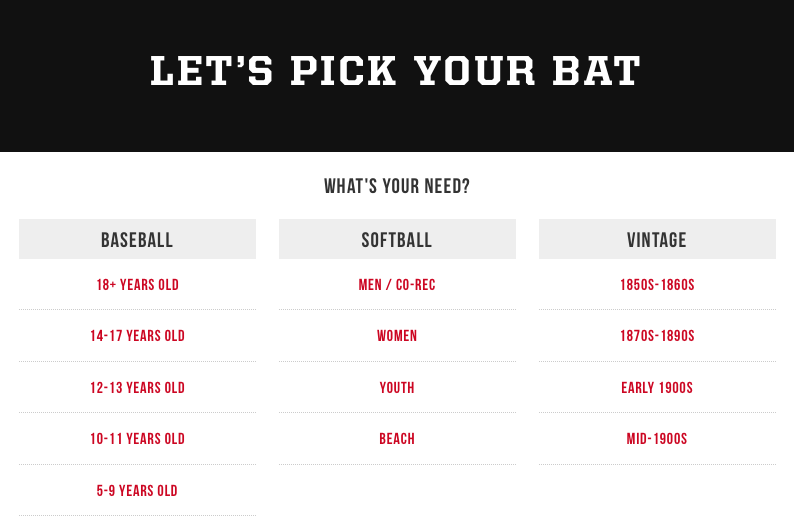 After building and implementing a custom decision tree bat selector tool on their website to guide customers to the perfect bat for them, Phoenix Bats saw vast improvements to overall sales and revenue. Read the full case study here. Just a few short lines of code can allow you to publish and present decision tree product finders as fun pop-ups! Shown as a button as popping up in a clean overlay window, it’s one of our many publishing options to fit any eCommerce business needs. We make it easy to inject some personality a few different ways, custom CSS files being the main one. After having a designer create the perfect file, just add to your decision tree product finder to ramp up the style — take a look at one of our customer’s awesome uses of this. You can also do things like build color buttons, add images and videos, and insert GIFs for something extra informative. 3. Use for support improvements. 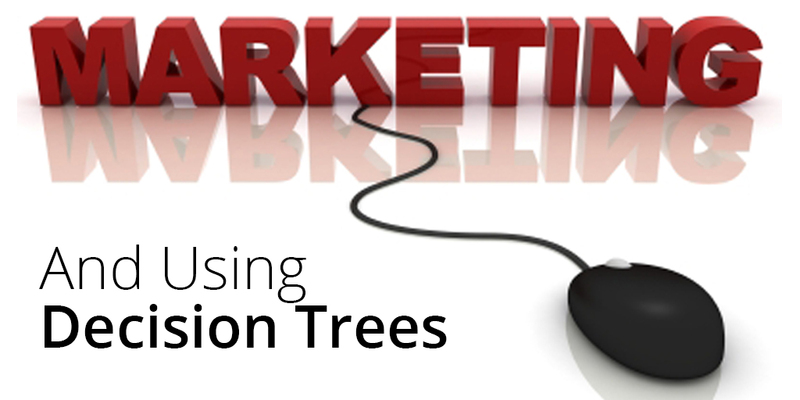 Interactive decision trees aren’t just for helping guide customers to the right products, they are also used for helping guide customers to the right answers and solutions. Any FAQ item, tutorial, or troubleshooting article can easily be reformatted as a decision tree, allowing customers to more easily self-solve and stay happy. You can check out our Gallery of examples for even more inspiration. Have any questions or want help getting started? We’re always here for you.